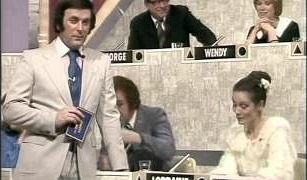 Hosted by the the late Sir Terry Wogan and Les Dawson, this BBC game show from the 80s became notorious for its low budget, terrible prizes (remember the old cheque book and pen?) and a bent microphone. The show ran from 18 January 1979 to 12 March 1990 with 218 episodes on BBC1. The show was hosted by Les Dawson from 1984 until the final show in the original run during 1990. On each show, there were six celebrity panelists and regulars included Kenny Everett, Lorraine Chase, Lenny Bennett, Beryl Reid and Gareth Hunt. The game itself always featured two contestants (male and female) and the objective was to fill in the missing blank (word) in a statement and match the answers given by the celebrities. Statements would often feature saucy "Carry On" style humour such as "Did you see that lady serving ice creams on the pier? She had the biggest blank you've ever seen!" One of the highlights of the show was the Supermatch Game. Once again, a contestant was required to fill in the blank given in a sentence. However, instead of guessing the celebrities answers, the contestant was required choose the most common answer given by the studio audience survey, and he/she was allowed to consult with three celebrity panelists. 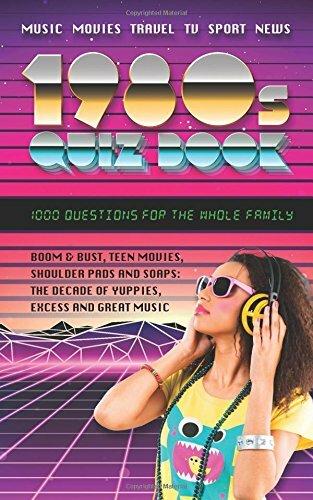 The most popular answer was worth 150 blanks, followed by 100 blanks for the second and 50 blanks for the third most popular answer. The runner-up prize was the aforementioned cheque book and pen, and Les Dawson was quick to mock the low budget prize with humourous sentences such as "I bet you wish you had stopped at home and watched Crossroads - do you want me to lend you your bus fare home? 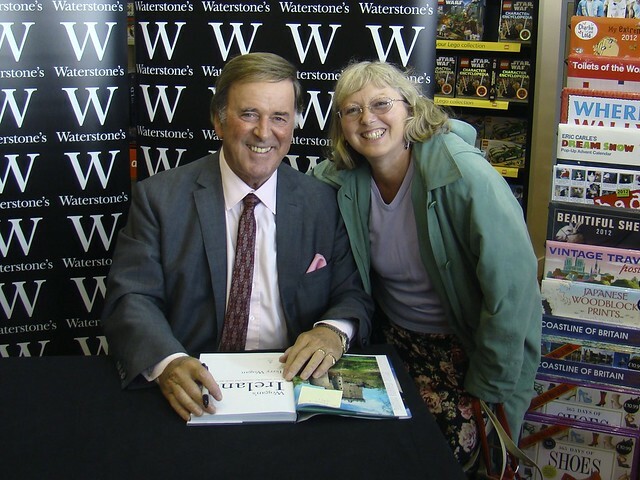 Here we see Terry Wogan with Lorraine Chase. Actress Wendy Craig and comedian Lenny Bennett can also be seen. Did you ever receive one of these for Christmas? 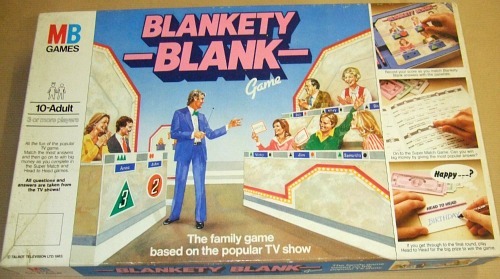 This Blankety Blank board game by MB Games is from 1983. Ah, yes! One of the highlights of the show featured comedian and DJ Kenny Everett. 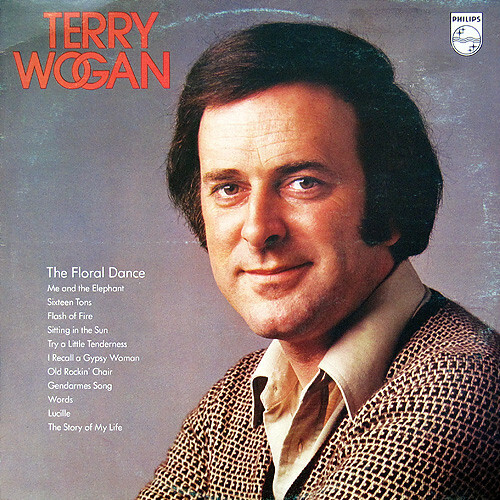 Terry just knew he was going to end up with a bent microphone whenever the wonderfully camp Kenny was on the show, and this became a regular occurrence. I remember one instance when Kenny actually snipped the microphone with a pair of shears! The banter between the two was hilarious. In one episode, the microphone refused to break and Kenny quppied "It worked in rehearsals".